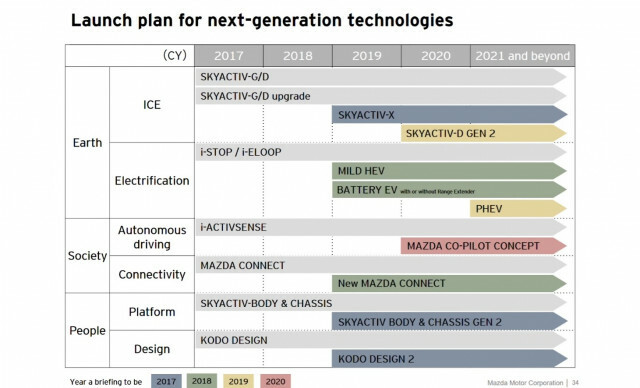 A look under the hood of Mazda’s future includes a patchwork of “what if” possibilities and a series of juggled timelines. Mazda is in a tough spot right now with regulators and in finding its place across many global markets. 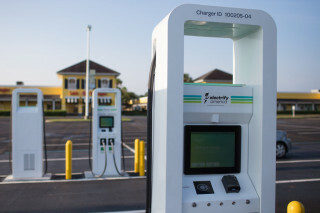 Part of the issue is that Mazda is considered an Intermediate-size manufacturer and subject to California’s ZEV mandate, requiring a certain percentage of its sales volume to be electric cars, plug-in hybrids, or hydrogen vehicles. Unlike some other small or intermediate carmakers, it doesn’t have any overarching major-automaker partnerships (except for a development venture for EVs with Toyota), and its sales aren’t heavily biased toward a single market. Of a global sales total of about 1.6 million vehicles last year, Mazda sold just over 300,000 vehicles in the U.S.; compare that to Subaru, which is in a similar predicament but made just over a million vehicles last year, selling 680,000 of them in the U.S.
Mazda is under pressure to produce some plug-in vehicle, if only for California ZEV states by the end of the year. So it's moving along with work on its electric vehicle, supported by a Wankel rotary-engine range-extender, confirmed Mazda’s vice president of R&D and design, Masashi Otsuka, last week, at a backgrounder and early drive for the 2019 Mazda 3, which arrives at dealerships in March. Some of the development work for the plug-in is being done in the U.S., Otsuka confirmed, and the automaker will have more news about this model later in the calendar year. 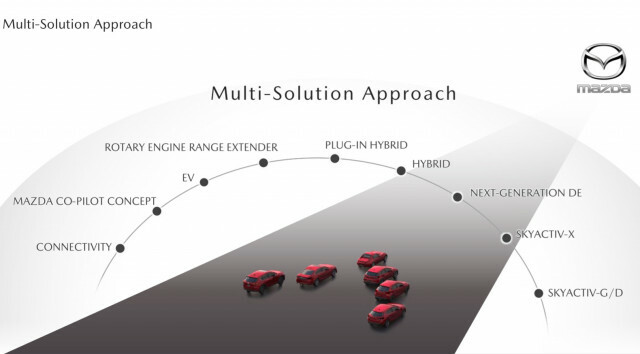 It all fits into Mazda’s “Sustainable Zoom-Zoom 2030” plan, a long-term vision announced in 2017 for how the carmaker will continue to provide enjoyable vehicles while also reducing its corporate average carbon dioxide emissions—as considered on a “well-to-wheel” basis, including life-cycle emissions—by 50 percent from 2010 levels by 2030. 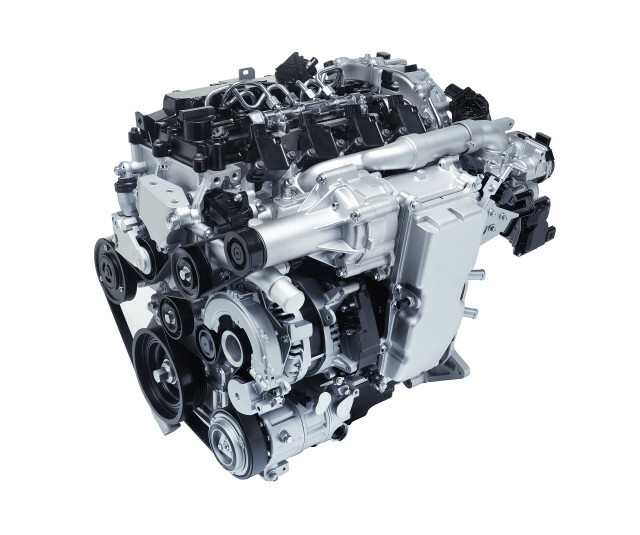 To achieve this, Mazda is one of the few carmakers that has no intent to freeze the evolution of the gasoline engine; it includes the continued improvement of the internal combustion engine in its big-picture efficiency initiative. Even within the U.S., Mazda, like other automakers, faces some differing priorities. Mazda’s sales aren’t as geographically skewed toward the coasts as some other automakers either, which makes building market share challenging. To help with that, starting this year Mazda is making all-wheel drive widely available in its Mazda 3 lineup. And it’s perfectly clear that it hasn’t given up on diesel for the U.S. market. The automaker’s timeline for its long-delayed Skyactiv-D diesel-engine rollout, according to company officials, will be clarified with a product-related announcement at the New York auto show in April. As another official hinted, the strategy we may instead see for diesel is a limited rollout for something like a half-dozen states—a way to provide a high-efficiency counterpoint to plug-ins, wherever it might go over well. In the meantime, Mazda reshuffled which engines to offer in the Mazda 3 in the U.S. Mazda completely bucked the trend to downsize and turbocharge, and chose only to bring the Mazda 3 here with the largest of its Skyactiv-G gasoline inline-4 engines—a 2.5-liter, with cylinder-deactivation technology in some versions, that’s expected to earn better than 30 mpg on the EPA combined test (though it hasn’t yet been rated). 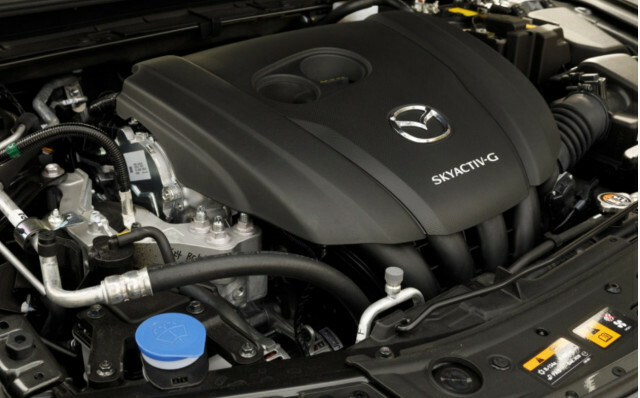 Other markets get smaller 1.5-liter and 2.0-liter versions of the Skyactiv-G, the diesel, and the automaker’s new Skyactiv-X gasoline engine, which runs in a compression-ignition mode some of the time. Skyactiv-X won’t arrive in the U.S. until later in 2020 at the earliest, Mazda says, and it’s still working on tuning the technology differently for its myriad markets. There’s also, pitched for Europe especially, a new 48V mild-hybrid system, with the emphasis on using the electric motor for stronger off-the-line torque, quick responsiveness, and linearity. While Mazda wouldn’t rule out introducing the smaller engine, it has no plans to introduce the mild-hybrid system with its Skyactiv-G models in the U.S. unless there’s a spike in gas prices. The last U.S. vehicle Mazda sold with any kind of hybrid badge—if you don’t count the capacitor-based i-ELOOP system of a few years ago—was the 2008-2011 Tribute Hybrid, which was a rebadged Ford Escape Hybrid and mostly offered only in California. The lack of hybrids and plug-ins hasn’t hurt Mazda as the federal government tallies it. The EPA has shown Mazda as having the highest overall Manufacturer Adjusted Fuel Economy, by final calculations, for five model years in a row (with the 2019 update due soon, though perhaps delayed by the recent government shutdown). If Mazda has one battle to wage right now, it’s that none of the incremental technology it’s selling is all that glamorous. 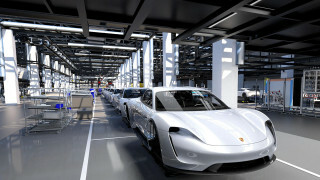 But by getting people behind the wheel and focusing on the in-cabin experience, it’s showing that it might be able to find success going it alone after all.